Percussionist Tatsuya Nakatani will perform with free jazz tenor sax/bass clarinetist Assif Tsahar at 7 p.m. Thursday, April 11 at Fenix Gallery on the downtown Fayetteville square. The event is part of the Trillium Salon Series, and is an all-ages show that includes a cash donation bar for beer and wine with a $10 suggested donation at the door. The duo welcomes special guest Gerald Sloan, a Fayetteville-based trombonist, as the evening’s opening entertainment. Sloan was a longtime music professor at the University of Arkansas. 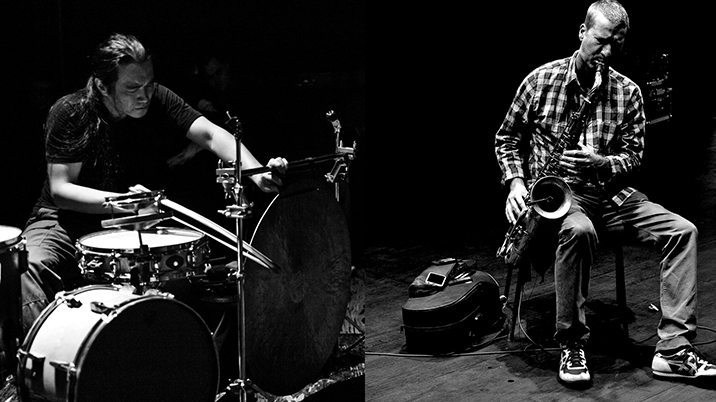 Nakatani’s performance is a collaboration with Israeli-born, New York City-based saxophonist/clarinetist Assif Tsahar, whose deep roots in free jazz include performing and recording alongside Cecil Taylor, Hamid Drake and Ken Vandermark. Check out the Free Music Archive page for Tsahar to stream music created by the duo. The Trillium Salon Series was founded in 2016 by KUAF’s classical music host Katy Henriksen and Glenn France. Past performances include a marimba concert inside the lobby of KUAF Public Radio, silent film screenings with live improv scores performed at Artist’s Laboratory Theatre, a trio concert of bassoon, clarinet and piano at Arts Center of the Ozarks, a celebration of Florence Price chamber music at Crystal Bridges Museum of American Art and a night of 21st century classical music at 21c Museum Hotel Bentonville. For more information, visit www.trilliumsalonseries.com.